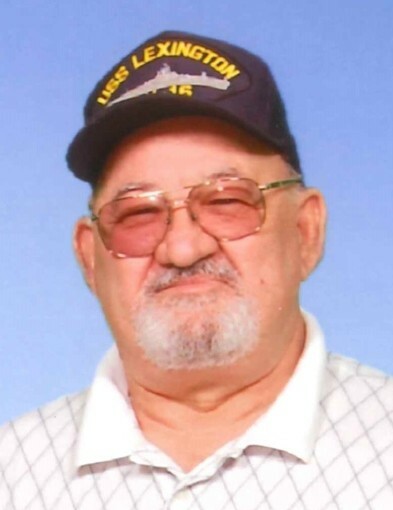 Glen Anderson Payne, age 82 of Mt.Orab, Ohio died Friday, April 5, 2019 at the Clermont Mercy Hospital in Batavia, Ohio. He was a retired wire draw foreman for Senco, a United States Navy Vietnam War Veteran who served for over 20 years, and a member of the Fraternal Order of Eagles Aerie 1161. Glen was born December 29, 1936 in Somerset, Kentucky the son of the late Neal and Essie (Cromer) Payne. Besides his parents, he was preceded in death by his first wife – Patricia (Henderson) Payne; two brothers – Earl and Wayne Payne and one sister – Betty Payne. Mr. Payne is survived by his wife, Carole Payne and family; one daughter – Debbie Davis (Missy) of Cincinnati, Ohio; two sons, David Payne and wife Cathy of Tennessee and Jamey Payne and wife Sharree of Strunk, Kentucky; loving grandfather to Aaron (Amy) Davis, Andrew (Britni) Payne, Daniel (Nicole) Payne, Elizabeth (Myles) Thomas, Ashley (Korey) Bruck, David (Britany) Payne, Lauren Davis, Paige Payne (Courtney), Rachel Payne (Cassandra), Dylan Payne and RayLynn Payne, seven great-grandchildren, many nieces and a few nephews. Funeral services will be held at 1:00 P.M. Wednesday, April 10, 2019 at the Cahall Funeral Home in Mt.Orab, Ohio. Tony Henderson will officiate. Visitation will be from 12:00 P.M. – 1:00 P.M. Wednesday at the funeral home. Interment will be in the Mt. Orab Cemetery in Mt. Orab, Ohio with Military services by the Carey Bavis American Legion Post #180 of Georgetown, Ohio. If desired, memorial contributions may be made to the Veterans Administration or to American Diabetes Association, P.O. Box 15829, Arlington, VA 22215.